CSL is working with partners around the world in access control, cold chain, retail management, warehouse management, and healthcare. Join our Partner Team so we can work together to enable your solution. Temperature monitoring is in high demand throughout supply chain operations. FINALLY, temperature monitoring at the carton and item level is convenient and affordable with CSL’s battery assisted passive RFID technology. Customers can now monitor temperature throughout the cold chain without opening the box. Another major advantages of CSL’s Temperature Sensing Tags is that the tags are fully EPC Class 3 Gen 2 compliant and can be read by ALL EPC Gen 2 readers. To further enable system integrators, CSL provides a complete temperature monitoring system including cold chain application software, RFID Readers, and Temperature Sensing Tags. Check out our free, customizable, and easy to use temperature tracking application. 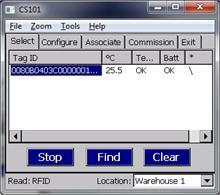 Using the CSL's CS101 Handheld Reader, the temperature tracking app is capable of reading CSL's Temperature Sensor Tags (CS8300-2), to send information about what the temperature is for the container. 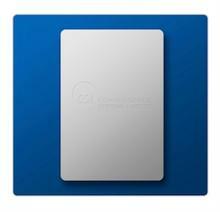 Visit CSL RFID How Blog for a step by step guide on the app.